Last week brought a preview of the “Hawaii Innovation Assets” report, compiled by the Hawaii Business Roundtable. The report, due to be released soon, identifies the state’s innovation assets and highlights the importance of growing the research and innovation sectors for future economic growth. Although the HBR Innovation Assets Report has yet to be released, you can listen to American Savings Bank CEO Richard Wacker share some of the highlights on last week’s episode of Bytemarks Cafe. But a second report focused on Hawaii innovation was just released to less fanfare. 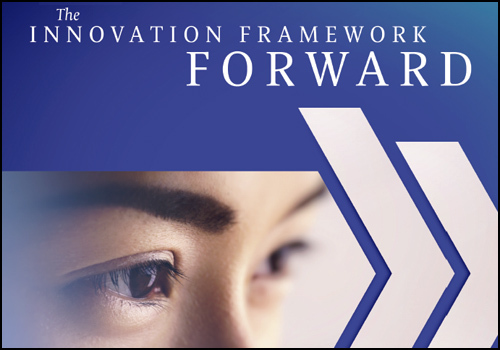 Enterprise Honolulu (part of the Oahu Economic Development Board) has just published “The Innovation Framework Forward,” featuring specific recommendations that would further Hawaii’s economic transformation. Compiled by Yuka Nagashima, former executive director of the High Technology Development Corporation, the “Framework” report features input from a wide spectrum of stakeholders and leaders from Hawaii entrepreneurs and established business owners, to policy leaders and economic development experts. From these different perspectives, the report assesses the status quo as well as many different visions of the future predicted for Hawaii. From those visions comes a call for “innovation driven growth,” rather than racing to rescue the latest vertical sector from decline. Provide dedicated funding streams or mechanisms for innovation initiatives. Align and support initiatives that contribute to the infrastructure, the talent development, and the capital needs of the innovation ecosystem. Shift university research commercialization from an exclusive license model to the transferring projects model. Identify a go-to entity devoted to innovation that is respected by both the private and public sectors. Agree on the metrics for innovation performance and the methodology, and designate a state entity to consistently report on the agreed-upon metrics. Nagashima talked to a great mix of people, from Henk Rogers and Eric Nakagawa to Richard Lim and Kathryn Matayoshi. I was honored to also participate in her interviews. The full report can be downloaded as a PDF from the Enterprise Honolulu website.